Astrologers Sandy Rueve and Susan Gidel are combing thru the universal 2019 cosmic trends of the entire year- with a focus on the First Quarter (January, February, March). Sit in during our FacebookLIVE recording of the Year Ahead to hear the upcoming energies that are available to all- BUT stay after the cameras turn off to get more personal- in-depth into your Astrological Transits! These cosmic trends will help you plan and set your intentions- while keeping tabs on the energies surrounding you daily. Take notes, set calendar reminders, and FEEL CONNECTED WITH THE WORKINGS OF THE UNIVERSE! 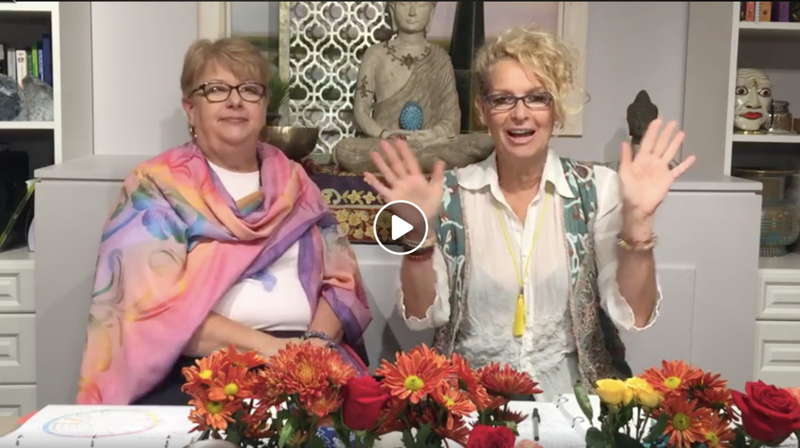 Our event is normally on Facebook LIVE, however, we are inviting 5 participants to join in during the recording AND to stay later for personal astrological work as well as Astrology 101 lessons with Sandy Rueve and Susan Gidel. Behind the scenes look at our Cosmic Trends!